Republicans may be celebrating their great tax rip off they sneaked through last Friday night, which included the hugely disputed proposal of drilling of the Arctic National Wildlife Refuge, but opening up America’s last true wilderness to oil exploitation is still far from certain. 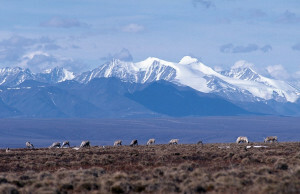 Firstly, drilling in ANWR is deeply unpopular with the American public; secondly, it still has to get past the House, where some Republicans are opposed to opening up ANWR; thirdly, even oil industry consultants think drilling now is not economically sensible and fourthly any development will be fought tooth and nail in the courts. All this means that any drilling is not going to happen any time soon. It is worth remembering that pro-drilling Republicans have tried over fifty times to drill in ANWR already and they have failed. Yesterday, Yale University’s Program on Climate Change Communication released a new survey that found that 70 percent of voters oppose drilling in the refuge. Those strongly opposed outnumber those who strongly support the policy by more than 4 to 1. Despite the gleeful scenes late on Friday night by the Republican leadership, a mere 18% of Republican voters “strongly support” the policy. Before the Senate vote, 12 Congressional Republicans sent a letter to the leaders of both houses of Congress, objecting the provision which would allow ANWR. Since the vote, some Republicans have gone public. Miami Rep. Carlos Curbelo is one of those who signed the letter and who is co-founder of the Climate Solutions Caucus, a bi-partisan group working to address climate change. If all the Republican members of the House who are members of the Caucus vote against the ANWR provision, then the bill is dead. The bottom line is the oil price is too low and Artic drilling too risky for any company to rush in now and the foreseeable future. Big Oil always talks about ANWR being the “holy grail” of Arctic drilling that will bring untold riches, but the reality is likely to be very different. In October, a Center for American Progress analysis found that offering oil and gas leases in ANWR is likely to yield no more than $37.5 million in revenue for the US Treasury over the next 10 years: short of the $1 billion to $1.8 billion that drilling proponents claim could be raised. And then we come to the oil price. According to financial analysts who follow the energy industry, the average oil price at which drilling projects in the Arctic can break even is in the high seventies per barrel, much higher than the current average oil price of $57 per barrel. The investment bankers, the ones likely to bankroll any drilling, think it’s a bad idea. Speaking earlier in the year, Goldman Sachs commodity expert, Michele Della Vigna, said “We think there is almost no rationale for Arctic exploration. Immensely complex, expensive projects like the Arctic we think can move too high on the cost curve to be economically doable”. Jennifer Presley, the Senior Editor, Drilling Hart Energy, an oil and gas consultancy also recently outlined how: “Doing anything in Alaska requires very deep pockets, and we’re not talking about $6 gallons of milk or $4 loaves of bread. With oil markets settling out at about $50/bbl oil prices and breakevens hovering at or below $50/bbl, is now the best time to consider opening even a tiny sliver of ANWR for exploration and drilling when oil can be had for far cheaper prices in places closer to home like the Bakken Shale or Permian Basin”. Before the vote, 37 leading Arctic wildlife scientists sent a letter opposing drilling on the coastal plain Senator Lisa Murkowski and Senator Maria Cantwell, the Chair and Ranking Member respectively of the Senate Committee on Energy and Natural Resources. There is no doubt that, as the twelve Repubicans outlined above, if drilling makes it through the House it will be challenged in the courts. 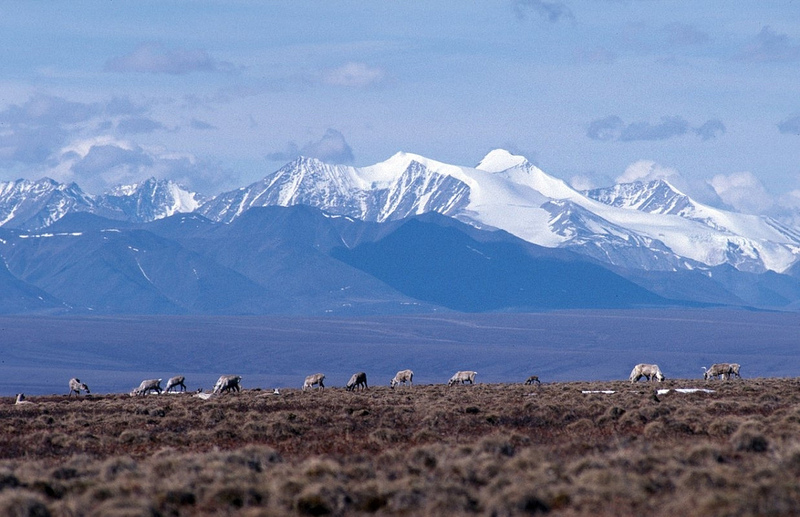 After the Senate vote, one of the co-signers, David Yarnold, called the provision to open up ANWR “simply shameful”. And if the House passes the bill, expect a whole host of lawyers to be very busy. murkowski and young are liars and evil.